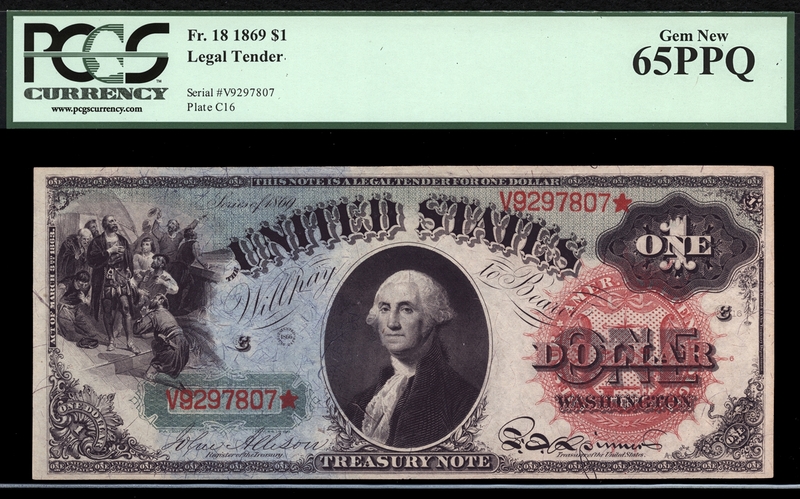 The Series of 1869 Legal Tender notes are some of the most colorful and appealing examples of United States paper money extant. The detail especially on this example is second-to-none and the workmanship is without reproach. Upon closer inspection; you will find the word “one” micro-printed a thousand times along the top creating the note’s greenish hue. 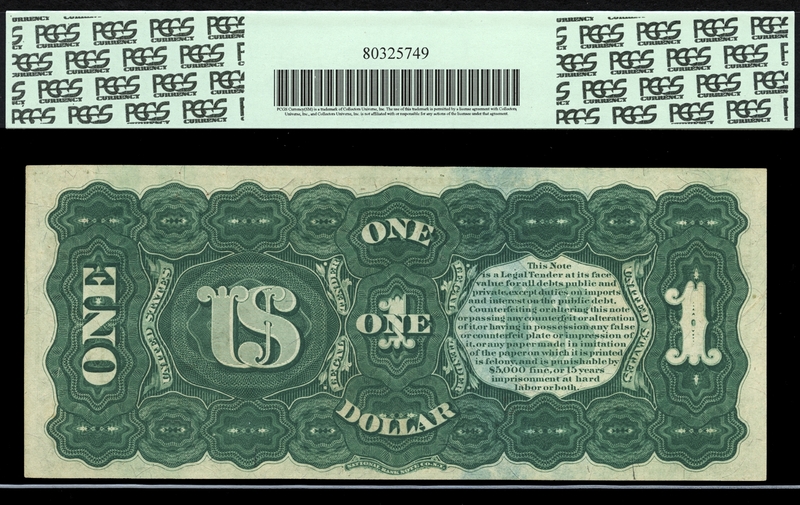 Coupled with bluish tinted paper; black ink; red seal and serial numbers; the overall result is one radiating note. This is one of the finest examples we have handled and will fit well into any collection of exceptional notes. * This information is being provided by PCGS Currency and you are encouraged to review the Important Information for each of these items: PCGS Currency Population [View]. The PCGS Currency population report is proprietary to PCGS Currency and remains the property of PCGS Currency. It is available for personal use to Collectors Corner subscribers only. Reproduction in any format is strictly prohibited, as is sharing of this import (or any data contained herein). Also, errors and omissions can occur and accordingly, viewer should recognize these facts and that this information should not be the only source consulted when making a decision about buying or selling currency.